Cantilevered over the edge of a mountain in Calgary, the Maralah Cliff House by LAAV Architects is a love letter to architectural icons Frank Lloyd Wright and John Lautner. Like the works of its influencers, the structure has a strong connection to its natural environment. The concrete and steel volume is sunken into the terrain and concealed from view with a grass roof. 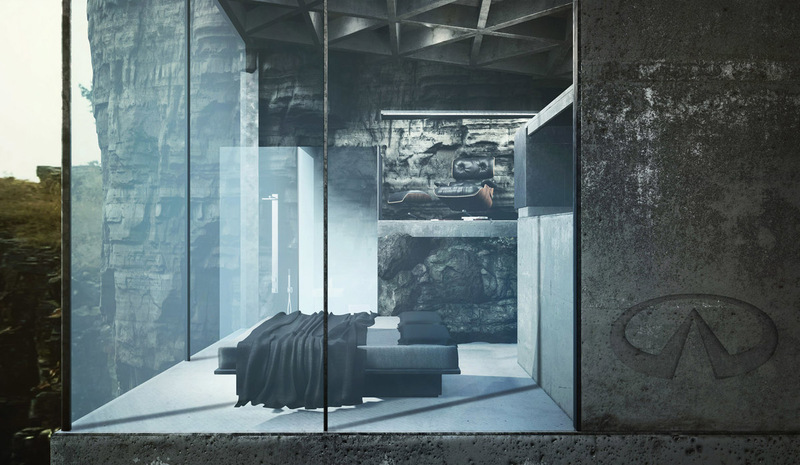 On the cliffside, a master bedroom hangs off the rocky ledge. Its glazed facade opens the entire interior to landscape, offering near 360-degree views of the dramatic scenery and the river below. If you liked this mindblowing project – check other houses on a cliff in our list of 10 of the Most Spectacular Cliff Top Houses.